Show your support for Atlanta Symphony Musicians! The music is the message. 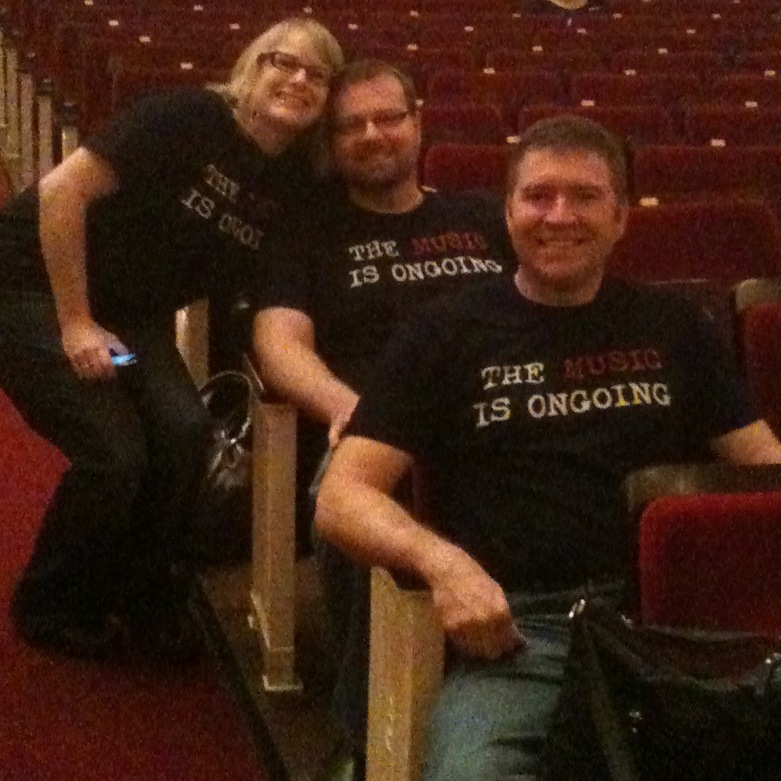 Every rehearsal and concert, we sing it, play it -- and now we can wear it to be seen and heard. 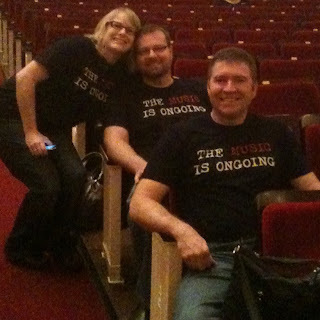 Orchestra and chorus members wore their shirts to Carnegie Hall ... and continue to wear them to dress rehearsals. Designed by Robert Cobucci in a cool typewriter font ... with "MUSIC" highlighted in the color associated with danger, sacrifice, and passion. Does this sound like your job as a musician these days? The Music is Ongoing™ tee is printed 2-colors on a high-quality black short-sleeved crewneck t-shirt. 100% ring-spun cotton jersey with taped neck and shoulders, double-needle sleeve and bottom hem. The price of the shirt is $25.00, which includes a $10 per shirt contribution to the Atlanta Symphony Orchestra Players Association. In a little over a month, t-shirt sales have contributed over $1,100.00 to the ASOPA account! Be a part of this movement -- started by musicians -- that shows the world what is most important. Wear your t-shirt in solidarity with all the musicians and orchestras in this country who struggle to keep the music ongoing. Available in sizes S, M, XL, 2XL, and 3XL (Sorry! L is temporarily back-ordered). Click here to go to Nelipot Original Tees where you can order your Music is Ongoing™ t-shirt and wear it proudly in 7-10 days. Got it! Are you going to Eddie's Attic? I'll bring it to you. Ordered one as well - brilliant idea! It does all end up coming down to the type of music this orchestra produces. The best thing to do is to make a movie and buy youtube views for it. It might bring in some people.